We are uniquely positioned on the edge of new Real Estate trends in marketing, style and design. As top producers in the SIR brand averaging over $40M in sales each year, our team specializes in Lifestyle Properties. Be it Golf Course, Waterfront or Penthouse living we help clients transition either upsizing or downsizing to their ever changing needs. This striking home in The Reserve Estates at Newcastle is the epitome of luxury living. Built for entertaining, this home features soaring ceilings, sprawling family and great rooms, cozy theater room, a true chef’s kitchen—indoor and outdoor—and all of the storage you could ask for. Northwest-inspired architecture with rich wood moldings and finishes invite you to experience the best of Newcastle living. Perched above the 4th tee-box of the China Creek course at the Golf Club at Newcastle, this stunning Lochwood Lozier showcase home elegantly whispers luxury throughout. Blending with the natural surroundings of Cougar Mountain, enjoy 2-story entry and great room with 20ft stone lodge-like fireplace overlooking peaceful views. Located in one of West Seattle’s most desirable and walkable neighborhoods, this updated craftsman-style home features light-filled spaces, high-end finishes and views of the Seattle skyline from the master suite. Enjoy multiple outdoor living spaces including a detached 2-car garage, and take advantage of being walking distance from various amenities and only minutes to downtown Seattle. For those seeking the ultimate expression of luxurious Eastside living. With a custom gourmet kitchen, grand spaces and a lower level that includes a wet bar, wine cellar, billiard room and home theater, as well as a professional gym with resistance pool, the home affords every imaginable comfort for modern life. This luxurious estate of former Seahawk player is the epitome of modern luxury, offering everything a discerning buyer could desire – exquisite craftsmanship in every detail, careful design that incorporates state-of-the-art technology and convenience into all aspects of the home. This stunning estate in the The Reserve at Newcastle is the epitome of luxury living. Northwest-inspired architecture with rich wood moldings complement a grand entryway and circular staircase, inviting you to experience Newcastle’s lifestyle at its finest. Relax in an oversized chef’s kitchen, state-of-the-art home theater, sprawling master bedroom, and four additional bedrooms with ensuite baths. Sophisticated, modern, luxe. Located in sought-after Queen Anne, this Isola-built single-family home is the epitome of chic, contemporary style with stunning views of Puget Sound, the Olympic Mountains and Magnolia from the rooftop deck and living room balcony. Nestled in Normandy Park, this home has been completely remodeled and features views of Puget Sound from the living room, kitchen and outdoor patio. Convenient layout offers open kitchen and dining area with master suite and two guest rooms on the main level plus a bedroom, family room and full bath on the lower level, creating an ideal space for multi-generational living. ucked into a private cul-de-sac in Newcastle’s established Rainier Crest neighborhood, this residence offers tasteful updates including a modern kitchen, remodeled bathrooms and a fully-finished basement with a bedroom, full bath, an artist workroom and bonus room that opens into the back yard. This home lives large with four bedrooms and three-and-a-half bathrooms situated on three levels, with a formal living room, dining and family room on the main level. Wonderfully private Lochwood Lozier home in Newcastle’s sought after Meadow View Park. Enjoy traditional layout with updated charm including kitchen with commercial grade appliances, large back deck and spacious family room. Great home with updated systems such as A/C, water heater, 50year roof and 3-car garage with custom storage for your extra tools. Walk to Cougar Mtn Park, Newcastle Golf & local shops through trails of Newcastle! Nestled into the hills of Newcastle, this Lochwood Lozier custom home has been tastefully updated to impress the most discerning homeowner. Enjoy dramatic vaulted ceilings & open spaces soaked in natural light surrounded by peaceful views of Cougar Mtn. Entertain in the redesigned gourmet kitchen with thick quartzite counters, custom cabinetry & commercial grade Viking appliances. Breathe deep on the covered patio overlooking greenbelt & golf course. Rest well in the private main floor master suite complete with remodeled luxury bath. This spectacular Maple Valley estate at The Ridge at Lake Webster features 4 bedrooms and 2.5 baths, spread throughout over 4400 square feet of opulently appointed interiors. It is surrounded by almost 2 acres of park-like grounds, meticulously landscaped for natural beauty, outdoor recreation and a sublime level of tranquility. Cozied into Cougar Mountain, this Murray Franklyn home in the Reserve at Newcastle is as elegant as it is luxurious with grand entry, spiral staircase and impressive vaulted ceilings. Enjoy the spacious Master on the main while the chef’s kitchen has been updated for excellent entertaining. Slip out onto the private back patio and take in the naturally private peaceful views. Over-sized bedrooms and bonus await on the upper level ideal for sleep-overs and movie nights. Prime location in China Creek of Newcastle! This updated and well maintained home reflects the quality of a custom home with today’s modern flare. Updated kitchen overlooks oversized deck and green space. Smart family room with built-in speakers throughout and refinished hardwood floors. Brand new carpet through home with elegant entry and staircase. 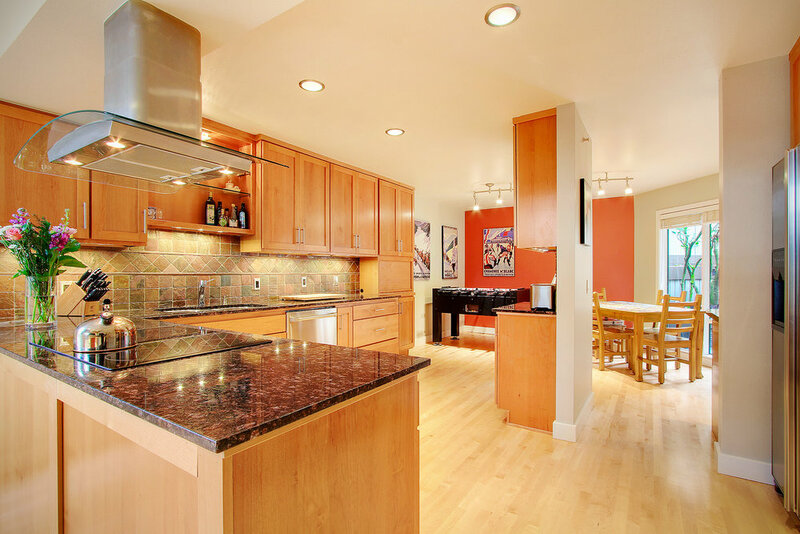 Remodeled home boasts rich hardwoods and natural stone throughout with updated gourmet kitchen and baths as well as stunning views of Lake Washington. French doors lead to the expansive deck overlooking large private lot. Daylight basement is complete with 2-guest bedrooms and full kitchenette which makes it the perfect MIL or income suite. A charming and inviting residential lot along the 5th hole of China Creek course in the prestigious Reserve at Newcastle community. Situated on a level quarter acre lot with stunning native landscaping. This majestic custom home in Newcastle offers 5100 sq ft of sumptuous living space with 4br and 3.5ba in a stunning natural setting with views over the 6th fairway of China Creek Golf Course. This spectacular estate on the 4th fairway of China Creek golf course at the Golf Club At Newcastle combines refined Northwest-inspired architecture with a luxurious palette of traditional materials and details to yield a residence that is both contemporary in its flow and functionality, yet evocative of classic grandeur in its presentation and finish. Nestled into Newcastle’s China Creek hillside, this elegantly appointed home as been meticulously maintained throughout. Enjoy peaceful views from every room and listen to the creek from the oversized deck watching friends practice their golf on the upgraded putting green. Gorgeous house in China Falls at Newcastle offers three levels of timeless architectural detail and luxury. Custom built-ins, beamed ceilings and intricate moldings define formal and casual spaces that flow seamlessly for easy daily living and elegant entertaining. A charming and inviting Craftsman façade belies the grand volumes and enveloping luxuries within this stylish residence in the Newcastle Highlands. Situated on a level quarter acre lot with stunning native landscaping and a waterfall feature. Stunning residence in Enatai offers opulent levels of classic detail and luxury in an open floorplan that is optimized for modern living and entertaining. Enjoy carefree living in this spacious single level condo along the Burke Gilman Trail. Entertain in the updated & spacious kitchen with stainless appliances. Relax in the open family room with access to large back patio. 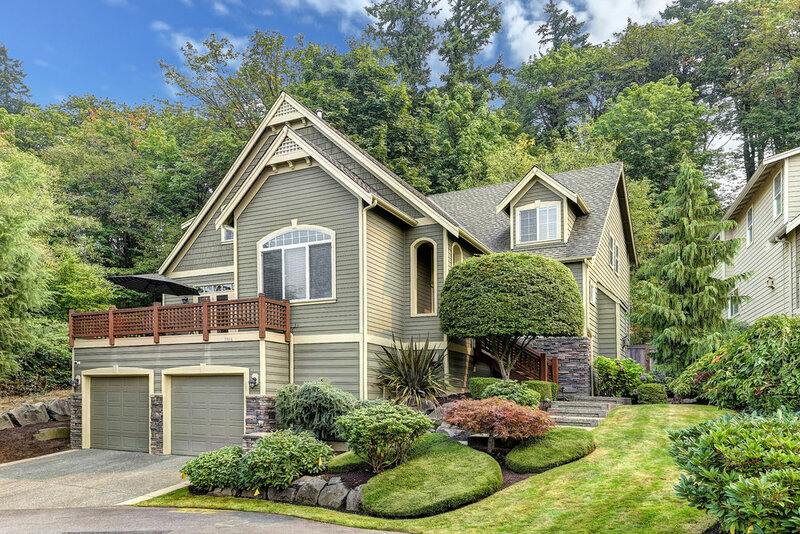 Immaculate LakeWashington Crest resale on 1/3 acre lot with private terraced backyard. Impressive entry with vaulted ceilings and hardwood floors. Kitchen features white cabinets, walk-in pantry and is open concept to the cozy and bright family room. This stately and classically refined residence in the sought-after Lakemont Woods neighborhood of Bellevue is the epitome of upscale Eastside living. Sited on a flat and fenced three-quarter acre lot at the end of its street, the house backs up to Lewis Creek Park. Take a deep breath & escape the stresses of life from this retreat perched in the trees above 3-Tree Point. 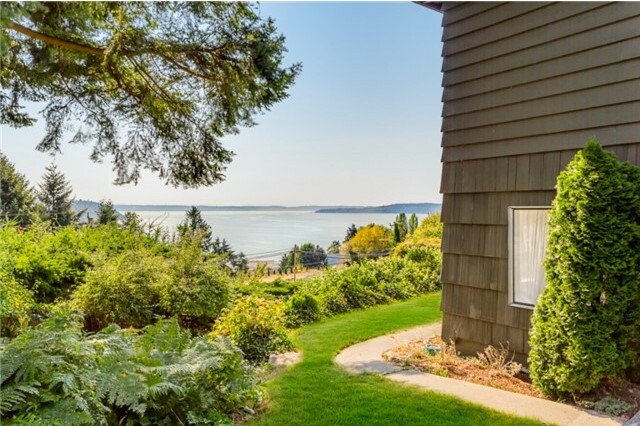 Enjoy views of the Puget Sound & Vashon Island from this charming & updated 3bd home. Nestled along Meydenbauer Beach Park, this sophisticated property has been updated to offer the most discerning buyer luxuries throughout. Enjoy lofted cedar ceilings, contemporary iron railings and refinished hardwood flooring. 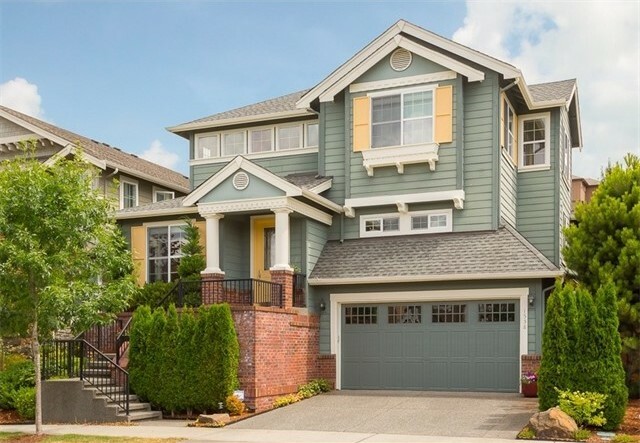 This beautiful, recently constructed home above Lincoln Park in West Seattle offers chic contemporary style in an established neighborhood with stunning views over Puget Sound and the surrounding area. Live in the heart of Capitol Hill on a tree lined street surrounded by vintage buildings and Old World Charm. Updated kitchen, classic hardwood floors and cozy bedroom with large closet. Beautifully crafted and designed Northwest home in Renton’s Windstone community features over 4100 sq ft of living space, 4 br and 4 ba, arranged over three luxuriously appointed levels. Perched high above Seattle's vibrant urban core this sub-penthouse residence boasts over-sized views of Lake Union and Seattle. Enjoy this prime location only blocks from the shopping and business districts as well as iconic Pike Place Market and Seattle's Space Needle. This lovely Newcastle home offers luxurious living space and a beautiful setting that backs up to a lush hillside with mountain views. A must see for those who seek plenty of space in an elegant setting! An urban oasis in Seattle's tech corridor along S. Lake Union, VEER Lofts is Silver LEED certified built from concrete & steel w/eco-friendly materials such as cork flooring & specialty lighting. Located directly on the 4th hole of the China Creek course at the Golf Club at Newcastle, this luxurious estate is the former home of a Seahawk celebrity and shows the attention to detail and personalization that such an owner demands. This majestic Italianate home in The Reserve at Newcastle offers 5 bedrooms, a home office, media room and bonus area for those seeking the ultimate in traditional elegance and luxury in this sought-after setting. References to French provincial architecture blend expertly with an elegant palette of materials to create a residence that is the epitome of timeless style and grace. Located in Newcastle, one of the region’s premier communities. Majestic Newcastle estate offers stunning views and dramatic living spaces on the Golf Club at Newcastle. Rich in architectural details that include elegantly arched passages and sweeping staircase that convey a sense of timeless elegance and grace, the beautiful patios and decks invite the outdoors in, while a palette of natural stone and hardwoods warms at every turn. This luxurious estate of former Seahawk player is the epitome of modern luxury, offering everything a discerning buyer could desire – exquisite craftsmanship in every detail, careful design that incorporates state-of-the-art technology and convenience into all aspects of the home, and the provenance of a location directly on the 4th hole of Washington's premier golf course - The Golf Club at Newcastle. Mediterranean estate in coveted Yarrow Point melds classical with modern luxury. Dramatic foyer, gracefully curved staircase and architectural elements including arched passageways and clerestory windows flood the home with natural light. Luxuriously appointed kitchen and generous family room leads to oversized patio. Sumptuous master overlooks spacious yard, while ensuite-bath is an opulent spa-worthy retreat. This elegant enclave is centrally located with excellent access to the Eastside's tech corridor. This beautifully appointed Chaffey resale is the epitome of traditional NW luxury, offering opulent living space on a lushly landscaped level lot that backs up to greenbelt. With dramatic entry, gourmet kitchen, family room and oversized walk-out back patio, it is the ideal home for those seeking meticulous quality. Upper floor w/luxury master, bonus room and 3 guest rooms, enjoy abundant recreational opportunities in one of the area’s most sought-after communities on the Eastside in Issaquah schools. This stately Newcastle home with gently curved rooflines and stone surfaces is elegantly positioned on 0.3 acres next to Community Park and golf course. Boasting dramatic arches and custom millwork this is the epitome of timeless luxury. Fine custom cabinetry and slab granite counters complete chef's kitchen. Relax in the master suite with views of Cougar Mountain and spa-like bath along with spacious bonus room for movie nights on upper level. Enjoy BBQs on oversized patio and private yard only minutes to Bellevue. Luxury meets loft in this sophisticated 2000-sq-ft, 2-level penthouse atop acclaimed Mosler Lofts. Expansive spaces and custom finishes throughout. 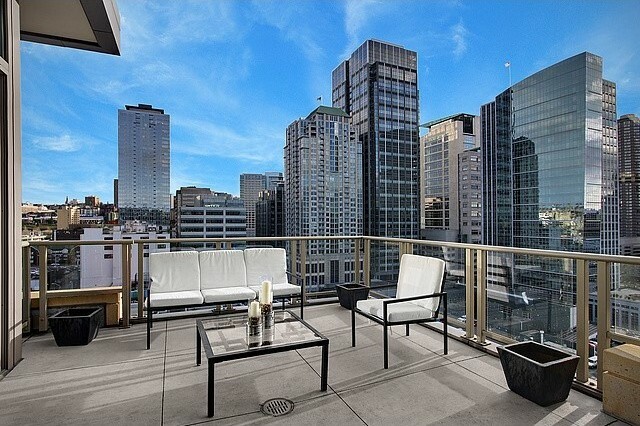 19 feet ceilings with walls of glass; concrete floors; gas fireplace; panoramic water, mountain and Space Needle views. Generous wrap-around terrace; sleek stainless steel kitchen with top-the-line appliances; elegant master with spectacular views; dramatic circular steel staircase to upper level bedroom and ¾ bath. Secured 2 car and 2 motorcycle garage package. Premier homebuilder, Mirikeen Homes, LLC proudly presents this Dutch Colonial home with outstanding finishes. Beautiful distressed oak floors and boxed beams throughout main floor, white-painted kitchen cabinetry, stainless appliances, walk-in pantry with second refrigerator/freezer, Carrara marble, granite and quartz, separate dining room with wainscot, paneling and sconces, 3 -car tandem garage, just a few blocks to elementary and middle schools, close to shopping, 520 and downtown Bellevue. Excellence in Living. Peaceful, pristine manicured grounds with waterfall tranquility. Top to bottom remodeled perfection lives with sophisticated panache. Entertaining spaces for creative celebrations are a party planner’s delight, walls of windows, mezzanine master suite wing with morning terrace, gracious room sizes, porte cochere with rear entry garage, soaring ceiling heights, and amazing floor plan! Simply enchanting. All yours minutes from Bellevue, Redmond and Sammamish. Stylish high-rise home in Bellevue Towers South, elevates condo living to new heights in the center of cosmopolitan life. This model homes showcases builder’s best w/sleek lines, wall-to-wall windows and custom upgrades throughout. Entertain in the luxurious kitchen. Sip cocktails on the patio overlooking Lake WA & Seattle’s skyline. Relax in the master with oversized shower. Enjoy a movie in the bonus/den. Great storage, 2-parking, concierge and amenities. Private western sunsets with Seattle skyline and Olympic mountain views! Polished to perfection with high ceilings, impressive architectural details, and refreshing natural light. Lavish features include Master suite with separate his/her walk-in closets, generous secondary bedrooms all with attached or adjacent baths, climate controlled wine cellar with speak-easy door, entertainment view deck, and spacious guest bedrooms on lower recreation level. Fabulous full acre of privacy in the Pinnacle. Elegant Burnstead on private street in Newcastle Highlands. Entertain in chef’s kitchen with stainless apps, desk-nook for emails and main floor guest suite. Upper level boasts master with spa-like bath & views of tranquil greenbelt. Theater room designed for movie nights with surround sound. This extraordinary home in the Reserve at Newcastle is an entertainer’s delight! Cathedral ceilings, expansive floorplan and exquisite finishes including Brazilian hardwoods, custom wrought iron and intricate moldings. The interior conveys a sense of relaxed opulence with Tuscan flair.